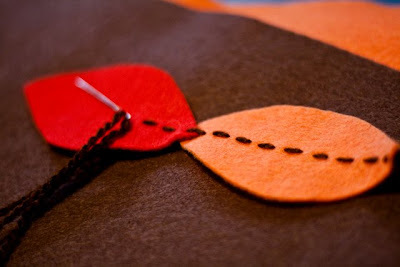 Tiffany Zajas Photography: diy felt leaf garland tutorial. 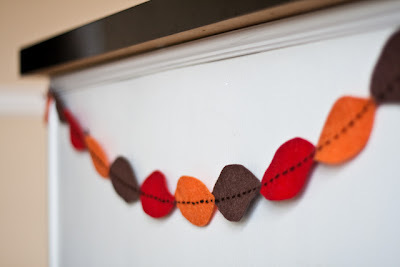 When I saw this handmade felt leaf garland by Elsie, I knew that I had to figure out how to make one for myself! 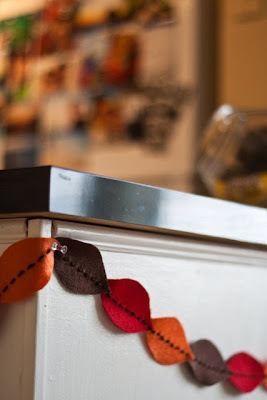 I love festive decorations, and thought this would make a fun addition to our Thanksgiving Day decor. 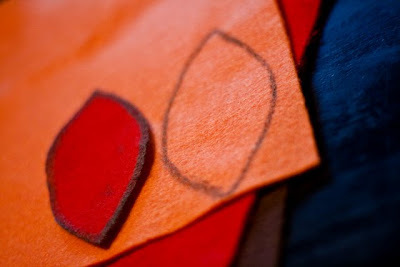 three (or more depending on how long you want to make it) sheets of felt--I got mine at Wal-Mart in the kid's craft section for just $0.25 each. 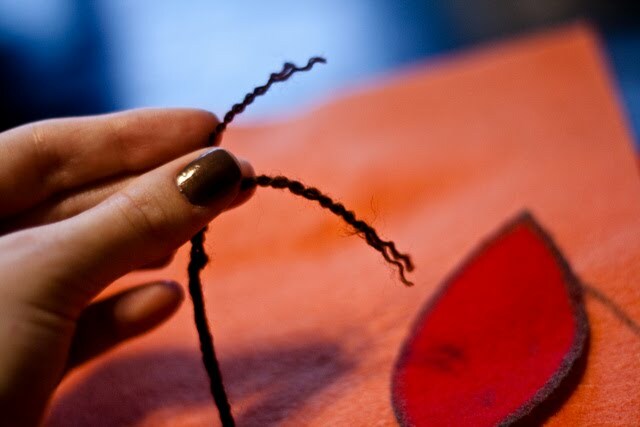 Now it's time to thread the needle. 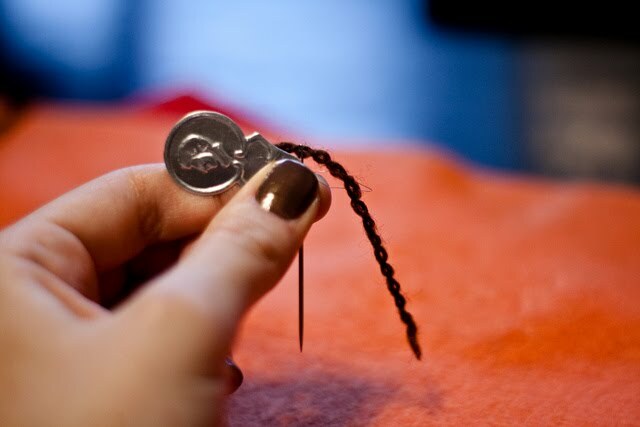 I use a needle threader, because I just don't have the patience to thread that needle without it. :) Make sure to tie a knot at the end of your yarn. 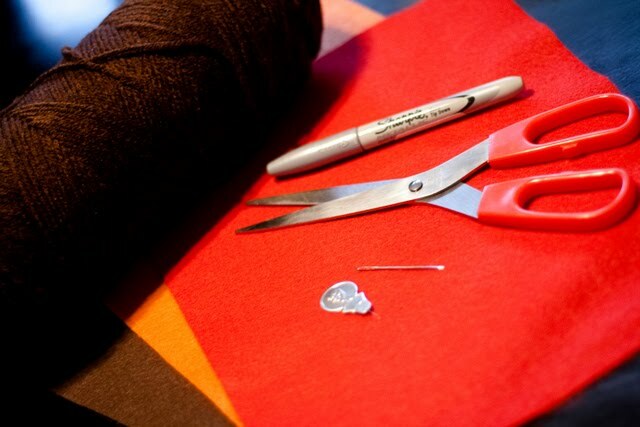 Then start stitching away! 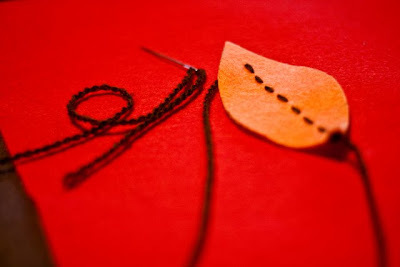 Don't worry about it being in a perfectly straight line...I kind of like the imperfect look of it. This little project only cost me $0.75 and took just an hour of my time. Plus, it was super fun to make! neato! 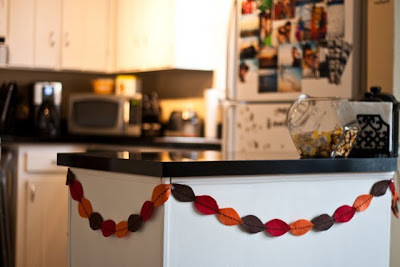 that is such a cute idea!